[member_desc][member_desc_sub]Your Shopping Centre in the hub of Batemans Bay! [/member_desc_sub]The Village Centre and Bridge Plaza shopping centres in Batemans Bay feature Coles, Kmart, Woolworths and Aldi plus over 50 great specialty stores. Visit today for wonderful fashion, delicious food and an upbeat atmosphere delightfully located in beautiful Batemans Bay. Undercover parking and easy access from the Princes Highway make shopping a breeze. Check majors for extended trading hours. [member_desc]urPlan Consulting Services (urPlan) is a land planning and pre-development management consultancy specialising in the fields of planning and environment legislation and development economics. We provide best practice, ethical and cost effective solutions in the often challenging and time sensitive field of land planning and initial project strategies. urPlan is able to draw upon the expertise of nationally qualified and acknowledged specialists and the latest practice principles to deliver high quality results for projects large or small. The Director, David Seymour, is an experienced consultant Planner who has provided high quality professional advice to clients in both the public and private sectors. urPlan may be engaged as an individual consultant where land planning and legislation/policy information is required as one component of a larger study. We are particularly experienced at working in a team environment and welcome being part of multi-disciplinary studies. We understand that being flexible and adaptive is an important quality to ensure a client’s evolving requirements are met. urPlan is committed to a high standard of service. We adhere to a policy of close liaison with our clients throughout the duration of a project and are mindful of the need for timely production of results and concise and accurate reporting. [member_desc_sub]Capabilities[/member_desc_sub]Through past project experience and institutional studies, urPlan and associated specialists have developed planning capabilities in facilitating projects through the challenging process of NSW planning legislative and policy environment. [/member_desc_list]A particular strength of urPlan, is the diversity of areas in which we can actively assist clients. In collaboration with other specialist practitioners we are able to manage complex development projects and institutional planning through authority requirements and technical assessment. This range of operation and on-going involvement with the professional Institute, provides us with the advantage of continually being at the forefront of industry knowledge, an attribute demonstrated through our experience and involvement in industry conferences and training programs. [/member_desc_list]urPlan Consultancy provides a comprehensive local reference service in all matters relating to land planning and development. We offer expert advice in areas of residential, commercial/institutional and industrial land use planning. Strong analytical skills combined with personal service and attention to detail ensures that projects are completed to the highest professional standards. [member_desc]Unpuzzle means to create a solution through patient effort. Knowing the behaviors of Customers or Members through their data interactions enables you to develop highly relevant relationships. With over 18 years experience and education in Marketing and a natural interest in finding ‘the solution’ – James is passionate about database marketing through online and offline channels and how that can help you achieve your business goals. Contact James on 0425 861 729 to find out more. [member_desc]When it comes to business, the Internet is a powerful and increasingly essential marketing tool. We build websites for businesses that bring results, boosting your sales and revenue. Whether you are just getting started with a web presence, or you want to take your online marketing efforts to the next level, our team can get you there. We provide Website Design and Development, Online Marketing Services, Search Engine Marketing, Social Media Marketing, Mobile App Development and Web Application Implementation and Development to all businesses in Batemans Bay and the South Coast of NSW. In short, when it comes to doing business on the web, we have got you covered. To start boosting your business’ profits online call 0424 199 919 today or visit www.websiteworkshop.com.au. [member_desc]Situated just south of Moruya in a peaceful rural setting close to pristine beaches, Moruya Campus provides a broad range of education and training services to students from the south coast region. The campus also offers an Access Centre at the Batemans Bay Library and Education Centre. Moruya Campus offers courses in tourism and hospitality, commercial cookery, building and construction, equine, animal studies, horticulture, rural and maritime studies, hairdressing, beauty, children’s services and aged care, business studies and information technology. The General Education Faculty provides literacy and numeracy support and offers students Skills for Working & Training and Tertiary Preparation Certificate (Year 12 equivalent). Fast Track training offer a range of courses including Responsible Service of Alcohol (RSA), Responsible Conduct of Gambling (RCG), Bar Skills, Cocktail Making, Espresso Coffee, Workplace Hygiene, Implement Food Safety Procedures, Occupational Health & Safety (OH&S) for the Construction Industry, Owner Builder, Bonded Asbestos, Builder’s Continuous Professional Development (CPD), Electrical Testing & Tagging, Chainsaw Operations, SmartTrain Chemical Applications, Training and Assessment Cert IV (TAA), Real Estate, Management, Palliative Care, First Aid and customised training for industry. [member_desc]Inspecting properties and writing inspection reports is serious business. So you want a serious company on board. Surety Property Reports has been inspecting properties for 10 years. We’ve inspected thousands of properties of all types—units, houses and commercial premises. When trust counts, you can count on us. We’re members of the Master Builders Association and the Housing Industry Association. We hold professional indemnity insurance, and we always conduct our inspections in accordance with the Australian Standards for Building and Timber Pest inspections. [member_desc]Welcome to the largest self storage facility on the Eurobodalla Coast. At Storage King Batemans Bay, we have experienced and friendly staff that are ready to assist you with your storage needs. We understand how stressful it can be, so let us help you with packing tips, removalists & how to make the most of your storage space. Place your goods and memories in our facility, with your security and convenience in mind. Call today on 02 4472 3033 for free friendly advice, and allow us to solve your storage requirements! 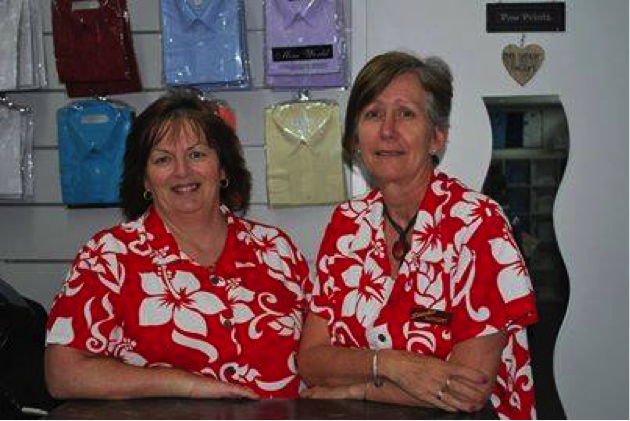 [member_desc]Stitches Batemans Bay is a locally owned and independently operated business that has been established for more than 16 years. Stockists for all Primary, High and Private school uniforms within the Eurobodalla. [/member_desc_list]Owner, Dianne West and staff, Magrit, Di and Donna will assist you with all your uniform, menswear and alteration needs! Come in and have a browse around. We are conveniently located in the middle of town – Shop 2, Bay Centre Plaza, Batemans Bay. Joining the Batemans Bay Business and Tourism Chamber automatically joins you to NSW Business Chamber which provides additional member benefits such as FREE ADVICE LINE calls for Legal Advice, Work Place Relations, Insurance, WHS, Marketing and other advice. © 2018 Batemans Bay Business and Tourism Chamber. All rights reserved.